New cat washi roll sticker. 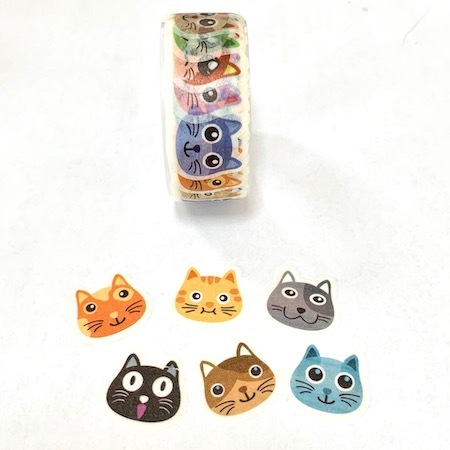 Peel each sticker from the roll of washi tape individually. So fun to arrange cat head washi stickers anywhere on your planner or greeting cards. Washi tape can be used on gift packages and scrapbook pages. Put two cat head stickers back to back on the top of a paper clip for a cute topper.